PEORIA - Margaret Bell, 90, of Peoria, IL died on Wednesday, April 10, 2019 at her residence. Margaret was born on July 1, 1928 to John F. and Nellie (Cochran) Backus. She married Lloyd D. Bell on June 28, 1963; he preceded her in death on August 17, 2007. Also preceding are her parents, her sisters; Betty J. Platt, Dorothy B. Wiedman, Nelseen Palmquist, and Georganne Feehery, and her brothers; John F. and Fredrick W. Backus. Margaret is survived by her sister, Virginia M. Isaac, her brother, Robin (Kim) Backus, and 2 step-grandsons; Jeffrey (Carrie) and Brett (Christine) Yemm. She was a longtime member of the First United Methodist Church (F.U.M.C.) in Peoria and was active in their bible study. 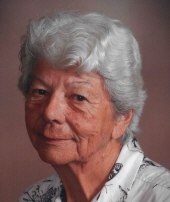 Margaret was an avid golfer and worked part-time for Northmoor Golf Course. She also worked full-time for the Bemis Bag Co.
A graveside service will be held at 10 a.m. on Saturday, April 13, 2019, at Swan Lake Memory Gardens in Peoria. Memorial donations may be made to the Loaves and Fish ministry at F.U.M.C. Loaves and Fish Ministry at F.U.M.C. "Email Address" would like to share the life celebration of Margaret Bell. Click on the "link" to go to share a favorite memory or leave a condolence message for the family.